Watch TV on Google, Apple, Facebook Latest News: Enter in TV Marketplace, 195 Crore Rs/Episode: Ab Aap Tv ke Serials Google, Apple or Facebook Ke Platform Per Dekh Sakege. Yes Apple, Google, Facebook This Three Legend Company's Redy to Enter in Television Marketplace. Ab Se Ye Company's Apne Platform Ke Liye Khud Ke Episode, Serials, Show Banayege. Or most Popular Serials Ka Live Streaming bhi Show Karegi to aisa he Plan ke Saath Yeah 3 world Famous Company's Television Industries me Kadam Rakhegi. Ye ek Bahut Bada Program Ho Sakta He, yaha Pe Google Har 1 Episode Ke Liye 195 Crore Rs Tak Pay kar Sakta Hai. Or Year me 500 Se Jyada Episode Show karne ka Plan He. Aisi khabre aa rahi hai. Google, Facebook & Apple TV Marketplace Me Entry Karne ke Liye Budget Bhi kafi Bada Rakha hai. Apple Ka starting Budget 6500 Crore Rs Hoga. Google Ne Starting Budget nahi bataya but in some cases Google 195 Crore Rs Per Episode Pay kar Sakta He, Ise Pata chalta he ki Google Ka Budget Bhi Bahut Jyda he Hoga. Wahi Facebook Ne bhi starting Budget conform nahi kiya but Uska Budget Bhi kam nahi Ho sakta. Ye 3 Company's ke Pass Paiso Ki koi Kami nahi He Saath Me world's me Most Popular He To I think wo 99% Success He Hoge Apne New Tv Program Me. 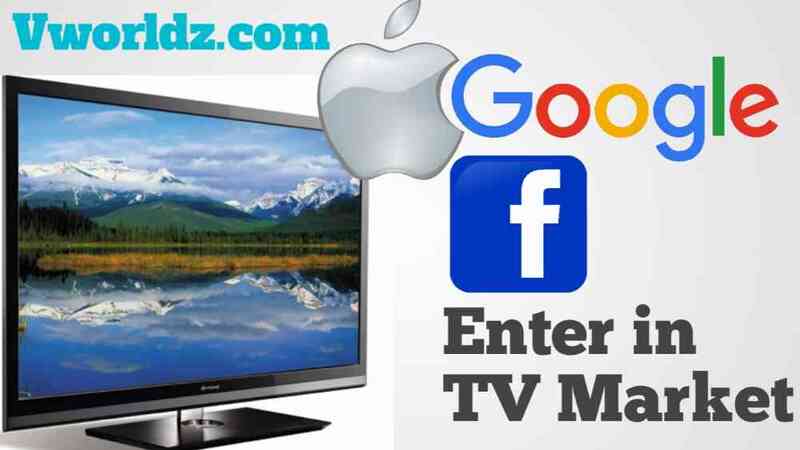 Google, Apple & Facebook ki Tv marketplace Me Entry Hone Se TV market me competition Bahut Badh Jayegi. Because Hum Jo TV me Dekhte He wahi Google, Apple or Facebook Apne Platform Pe Dikhayga so obviously TV users Kam Hoge. Waise YouTube ne Pehle Se TV viwers ko Apni or Attract kiya hai. So Finally Yaha Pe Dual competition Hoga. China ke ek Employee ne Social media Pe 1 Photo Publish Kiya hai, Jisme Ye Claims kiya Gaya Hai Ki Ye Photo Apple TV Testing Leb Ki Hai.Apple Apne is Kaam ke Liye Mr. Erlicht and Mr. Van Amburg( Famous Tv executive) ko Saath Le kar Kaam karega. “The Crown,” “The Goldbergs” and “Breaking Bad.” Erlicht & Van's ki Famous TV Serials Hai. Apple Buy Bollywood Content to Errors Group ? Apne TV Platform Ke Liye Apple India ke Errors Group Se Bollywood Content Buy Kar Sakta Hai. Agar aisa hota he to Ye bahut badi deal hogi Apple or Errors Group ke Bich me. Ye Deals me Errors Group Apni puri Bollywood Content Library Sell kar Sakata hai. So Finally I think This Three Tech Giants are Redy to Enter in Television Marketplace. So I Hope Aapko Ye Google, Apple or Facebook ki Jankari pasand aayi hogi. So Jarur Se Share Kare. 0 Response to "Watch TV on Google, Apple, Facebook: Enter in TV Marketplace, 195 Crore Rs/Episode "